The Twenties and Thirties of our last, rapidly devaluing, century were indeed days of giants. It was a time when a hardy America began finding it’s distinct artistic and spiritual tones. And there was a need for someone with a steely eye and a fair heart to comment on the scene. So of course there arose… a woman; Dorothy Parker, (not to be confused with the abominable movie of that title) a “constant reader” and commented on the passing scene. The possessor of a clinical but never cold eye she made quips about all the quacks. Oh, to have her back again. What a pleasure it would be to read her commentary on the non-assimilation of so much undigested philosophy working its way into American consciousness; especially on the advent of so many “Tao’s”. We now have “The Tao of Golf”, “The Tao of Crockpots”, the “The Tao of Crossword Puzzles”, “The Tao of Jones” and other such tomes. It seems that the word “Tao” has replaced “… For Dummies” as a sure-fire selling book title. Actually I think it’s a good trend. I can see it leading to such enlightening works as “The Bible of House Plants”, “The Torah of Dental Hygiene”, “The Pentateuch of Stock Options”, The Veda of Pet Care”. Worthy concepts and perfectly free to anyone out there who wants to take a crack at them. 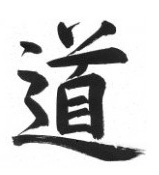 But, less seriously, one might suggest that the word TAO has become another mindless symbol for something quite different from it’s actual meaning. Of course everything actually has a Tao, a “Way” if you will. But the word Tao has now acquired some sense of esoteric knowledge which will allow the reader to do anything he or she wishes. In other words the Tao is another form of “getting what you want out of life”. But there’s a bit of a leap between “the pursuit of happiness” and the “guarantee of happiness”. To embrace a Tao is not always an easy way to knock two strokes off your game. The first and most difficult aspect of pursuing a “Way” comes through in a healthy dose of self-criticism. To understand where the Tao resides you have to understand where you reside. As in any religious practice the Tao offers a criterion for emulation. When Woody Allen is criticized in Manhattan, “You act like you’re God or something.” He rightly responds, “I have to model myself after someone !” The Tao, rather than being an easy path is one of constant self-assessment. In the martial arts, for example, the easiest way would be to not practice at all. In fact the better you get at martial arts the more difficult they become. So it takes a long time to achieve ease, grace and serenity. As the old martial saying goes, “Ten thousand times answers all questions”; squarely reminding us that a Tao, any Tao, comes from a real live practice, a mindful application of nose-to-grindstone and, of course, a certain humility. Ted Mancuso welcomes comments at P O Box 1134, Santa Cruz, CA 95061 or e-mailed to [email protected] Writers should assume that there letters and comments will be quoted through this site unless they request otherwise. Posted August 7, 2011 by Ted Mancuso. Comments and trackbacks are open. Follow the comments feed. Tagged with: Chuang Tzu, Dao, Daoist, Dorothy Parker, Lao Tzu, Tao, The Way, Woody Allen.